This month, we continue to explore The Hidden Job Market – that legendary (but not mythical) place where 80-90% of the most plum jobs in your world are never advertised. Nonetheless those jobs open and close with or without you. 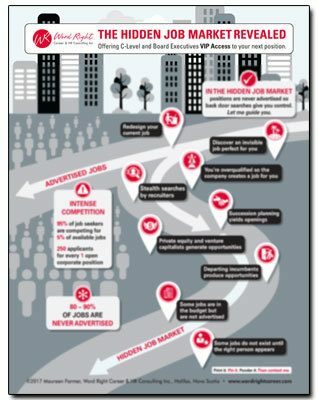 A natural stop along the way through The Hidden Job Market is most frequently referred to as Succession Planning. And succession planning DOES offer opportunities for you to be next in line for a position you’ve had your eye on or dreamed of, or both. Traditionally, being next in line means waiting patiently for the “old suit” to leave, retire, or, sad to say, die. Traditionally, it’s an exercise in patience. ​Here’s the thing… if a person is smart about it, they can watch companies they’re interested in and then approach them when they get a sense the CFO (or whatever role) is planning to leave in a year or two. 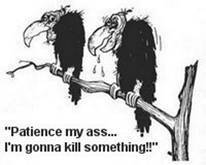 However, this watching and waiting approach is seldom ever considered except by the most savvy, patient careerists. 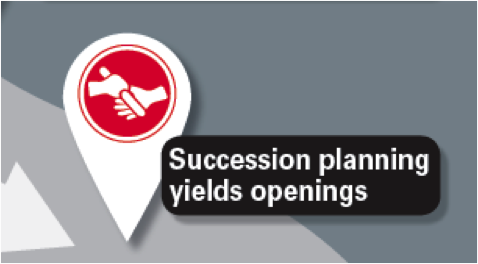 Taken from the point of view of the management team of a smart, well-rounded operation, recognizing the importance of succession planning is or should be an integral part of a C-level position. The incumbent should have an eye on the next generation with a view to grooming that person, taking them under their wing, teaching them all they know, so that the company is in good stead when that new person assumes their mantle. A great senior manager is always thinking of what’s best for his or her company. In management practice, however, you can bet your bottom dollar that, in today’s world, when the selection committee completes a long, involved hiring process of determining the right fit for the organization’s new COO as an example, part of the choice includes envisioning that same person succeeding the CEO – when the time is right. Of course. I want you to also imagine that the aforementioned CEO is, in actual fact, not the wise, traditional character, concerned with the company’s future I’ve depicted. This CEO isn’t leading the next generation. In fact, this CEO (or CFO, or COO as the case may be) is pure, unadulterated dead wood. We’re talking no vision, no energy, no plan, dead weight, at best. Yes, at best. At worse, this person is disruptive, a bully, a C-level sociopath and perhaps even a sexist! No kidding. And s/he is holed up in a corner office, biding his or her time, enjoying the perks and status of the position but contributing little. Further, this free-ride attitude is only thinly disguised, if at all. In fact, this on-going behaviour has caught the attention of other members of the senior team. Everyone knows just how wrong the situation is and, yet, so far the watching and waiting is only causing heavy sighs from the board room. The time has come. Your time? Could be. You’re an enterprising professional. You’ve got the smarts, the credentials and the brass. You’ve been watching from within the organization or even from the outside. You approach the company directly; perhaps meet with the chair of the board and, one pragmatist to another . . .
It’s over quickly. Out with the old and in with the new. That’s the way one scenario plays out. Sometimes the answer the board will choose is not so cut and dried. Sometimes the decision is to bring in a special advisor. You. As I’ve indicated in my previous Hidden Job Market blogs, How to find a job that doesn’t exist and How to find a c-level job this special advisor or consultant position is created regardless of a budget line. Presto! (love that word!) there is a new person on the team. You. And there is an organizational chart with a line drawn from the special advisor position directly to the role that the incumbent currently holds. As frustrating as it is to hard-working, resourceful, creative people, what often happens with these C-level wastes of space, is that for reasons known only to them, the senior teams won’t cut the ties. Instead they decide that our underperforming or sociopathic incumbent should be seconded (shuffled) into another position. Still you, as the new special advisor, are moved into that newly vacated role. Different organizations make different decisions at different times. The fact remains is people often do not want to deal head on with other people's underperformance or instability directly. Yet – they need a solution. As I’ve said, if a person is smart about it, they can watch companies they’re interested in, and, with my help, they can make their approach when the sense of the circumstance and timing is bang on. The happiest occasion for succession planning is when our senior leader knows it’s time to step away, and he or she is actually looking forward to what’s next on their horizon. They’re ready and they’ve prepared their replacement fully to take the reins. More often though there are other reasons for succession planning and it’s not always done by the incumbent. Cutting out the dead wood is very real and very difficult. When it is done, it happens quietly and, hear me, more often than not, that position is never advertised. I’m Maureen Farmer and I’m an awarding-winning, executive career strategist. If you have your eye on a position, be in touch. Together, we can prepare you for your next move, judge the timing and build a powerful strategy. I must add a sincere thank you for the comments I received on my previous articles I’ve posted on Tapping into the Hidden Job Market. If you liked this article, please consider sharing it using the icons below.